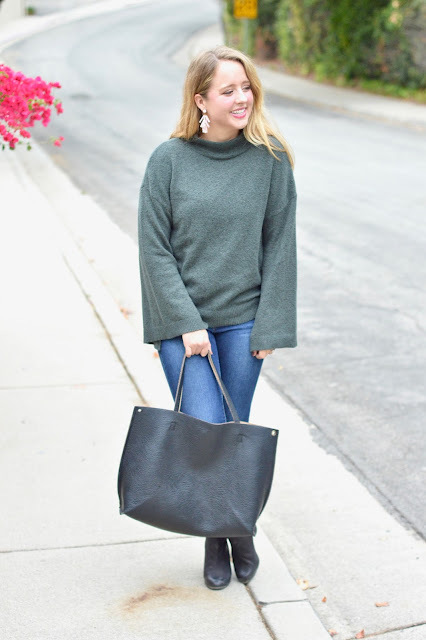 Cozy sweaters are my JAM! I was wandering the aisles of Nordstrom last weekend and I immediately fell head-over-heels for this forest green snug number. I rapidly grabbed my size in all five of the available colors and hustled on over to the dressing room. Even though I settled on the forest green option, I will probably be back for another color soon (I especially have my eyes on the blush pink verison!) 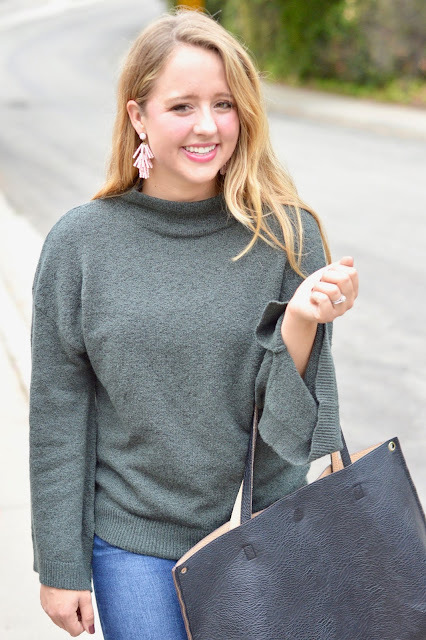 I love how effortlessly chic this forest green version looks paired with these blush pink baubles and a pair of skinny jeans. I hope you had a lovely first official day of fall. Even though I have been burning my fall scented candles and baking batches upon batches of Pillsbury Halloween Pre-Made Cookies, I am still excitedly welcoming the fall days to come!